Herbs are much more than a garnish. If you are only buying a bunch of cilantro for taco night and chives for your baked potato soup…you are missing out on all the other ways that herbs can enhance your life. Herbs are a powerhouse for healing and every homesteader and natural mother should have an arsenal of herbs in her home apothecary. Herbs also allow you to bring the food supply right to your doorstep. They are easy to grow making them an economical ingredient, no matter their intended use. They are visually beautiful and a great way to add a bit of nature to your home decor. Beyond that they are deliciously flavorful and elevate just about any meal you make. 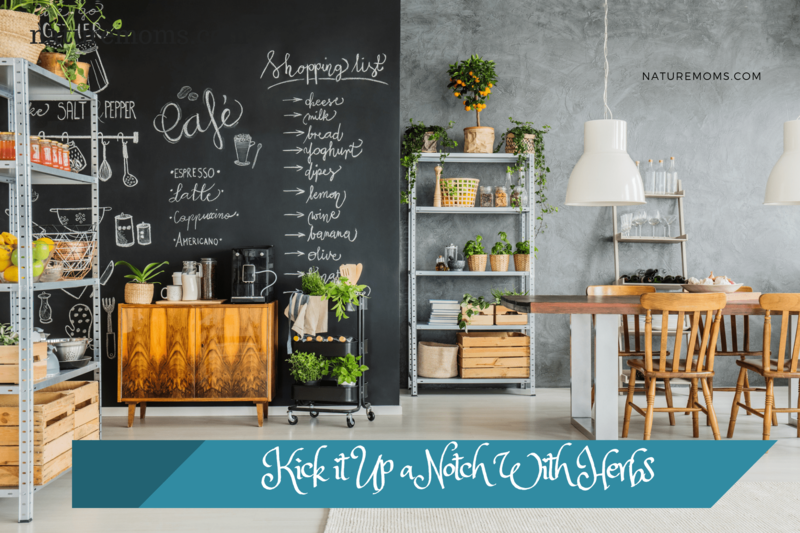 Add herbs to the mix for some next level living, cooking, home decor, and health. Blend some water, frozen blueberries, cucumber, and mint for a delicious, frosty, detox drink. Add rosemary to iced teas and mint to hot teas. A small handful of parsley leaves and stems makes a great addition to green juices for a nice boost of antioxidants and Vitamin C.
Try your hand at making herb centered dishes such as tabbouleh, pesto, and caprese salads. Add them to unexpected dishes such as potato salad or grilled cheese. A grilled caprese sandwich with basil is to die for! Oh and don’t forget herbs in the ice cream. My homemade Ylang Ylang and fennel ice cream is scrumptious. 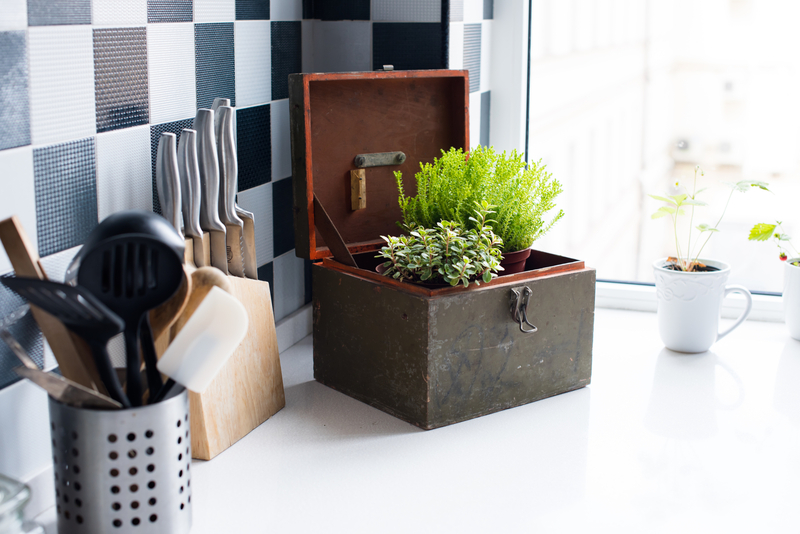 Keep your herbs fresh and out in beautiful displays so you will be inspired to use them. You can grow several different types of herbs in your house and it doesn’t take up much room to do it. They grow easily in containers. You’ll need area by a window for them to get sunlight and a container for them to live in that has proper drainage. 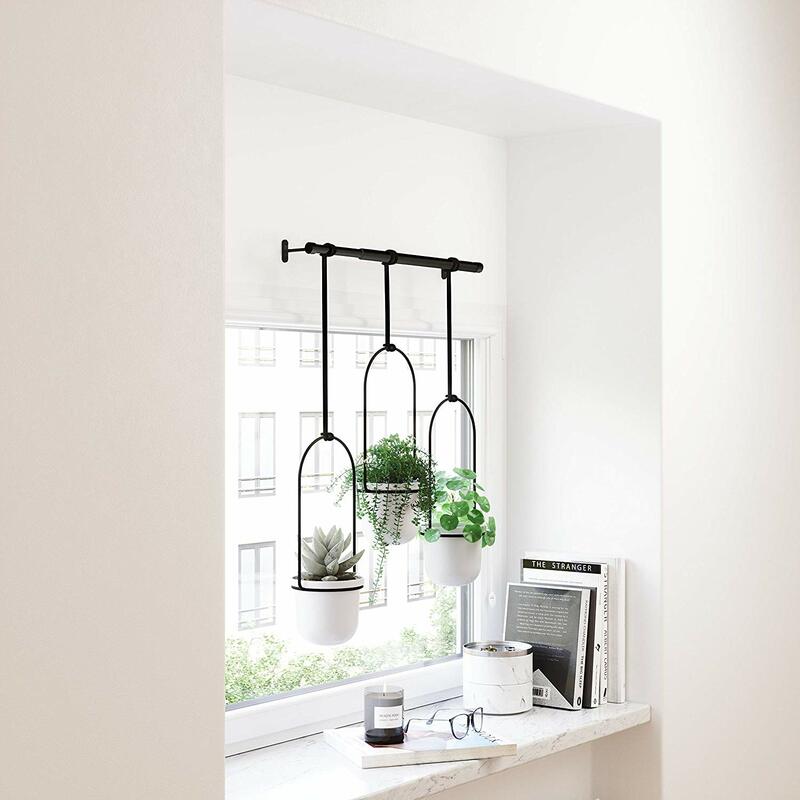 They can go on shelves, in cute planter boxes, in tin cans, on rolling Ikea carts, in baskets, and even arranged to hang from the ceiling or in front of windows (see below). I love love living decor and houseplants and herbs kicks that up a notch with their wondrous aromas and flavors. Even bundling them for drying or pressing herbs behind glass makes for beautiful decor. Hobby Lobby is not full of fake herbs for no reason. It is very easy to start your own “healing garden” right in your own home or backyard which will provide you with a variety of healthful beneficial ingredients. The most common form of herbal medication comes in the form of an infusion or tea. A good rule of thumb is to use an ounce of herb mixed with a pint of boiling water and allowed to steep for eight to ten minutes. A similar process called cold extracting, requires herbs to be steeped in cold water for several hours. An even longer process is called tincture, where dried herbs are steeped in a solution of equal parts water and alcohol for at least two weeks, then strained and stored in clean disinfected glass containers. Lastly, poultices are very common and are applied directly onto wounds, rashes and other affected areas. Simply take the medicinal parts of herbs or plants, crush or bruise them and heat in a small amount of water or alcohol to produce a pulpy result. Here is a list of herbs and plants that make for a good start to your healing garden. Not only do these have a medicinal value, but they also serve as an attractive addition to any garden. Everyone knows that BASIL is a wonderful culinary herb, but it can also be an effective remedy for headaches, stomach pains and when made into a poultice will help relieve insect bites. GARLIC is used in everyday cooking, but has hundreds of medicinal uses. It has a good reputation for lowering blood pressure. LAVENDER is a beautiful addition to the garden and good for stomach ailments. LEMON BALM is great in a poultice and applied applied directly onto sores and insect bites. Who doesn’t like a sprig of MINT in iced tea or various cocktails? It also helps relieve vomiting, diarrhea, and feelings of nausea. Spearmint and peppermint make nice cups of tea on their own. PARSLEY is very well known for its overall nutritional value. It is also commonly used as a cure for bad breath. THYME makes an effective tea for sore throats and a good all around antiseptic. There are hundreds of other herbs and plants that can be grown in the healing garden, but give these basics a try. They are attractive, they offer a pleasing aroma and they’re easy to grow.